The team ask radio amateurs and SWL’s to listen for the FM Morse code beacon on 437.275 MHz after deployment and submit reports (see Tracking below). They say there will be Mission emblem stickers with signed QSL cards and for the first 10 registered reports, LituanicaSAT-1 branded note books! 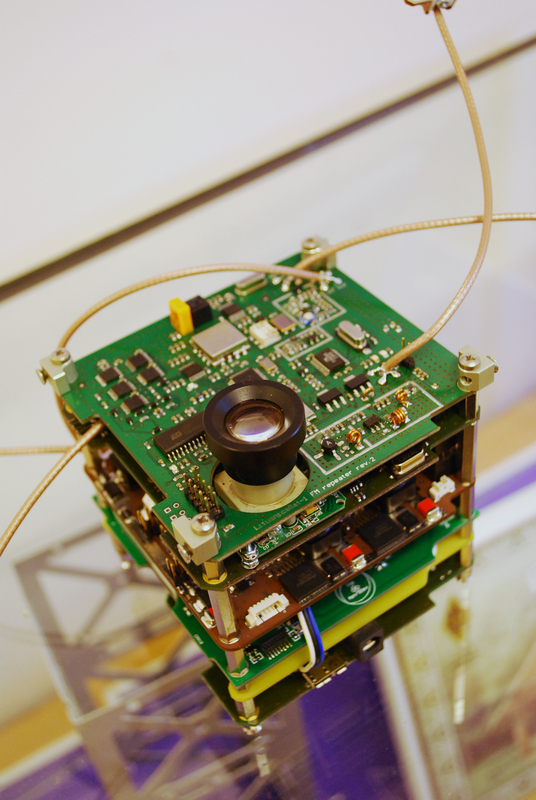 The tiny satellite is just 10x10x10 cm with a mass of 1.090 kg yet it has a VGA camera and a 145/435 MHz FM voice transponder, designed and built by Lithuanian radio amateurs. 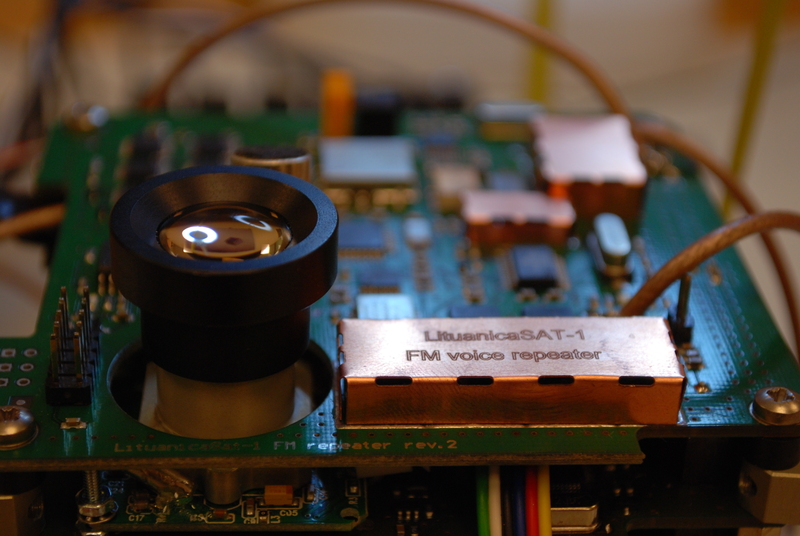 There are two computers in LituanicaSAT-1: the flight computer based on ARM Cortex-M4F microcontroller and secondary (back-up) computer based on Arduino ATMega 2560 microcontroller. These two computers and their periphery are laid out on different sides of one shared PCB. The flight computer is the central control unit of the satellite responsible for maintaining the normal operating mode of the satellite, monitoring and control of energy resources, control of attitude determination sub-system and performance of telecommands received from the satellite ground station in Lithuania. The LituanicaSAT-1 team developed the secondary flight computer based on the open source hardware and software project named Arduino. 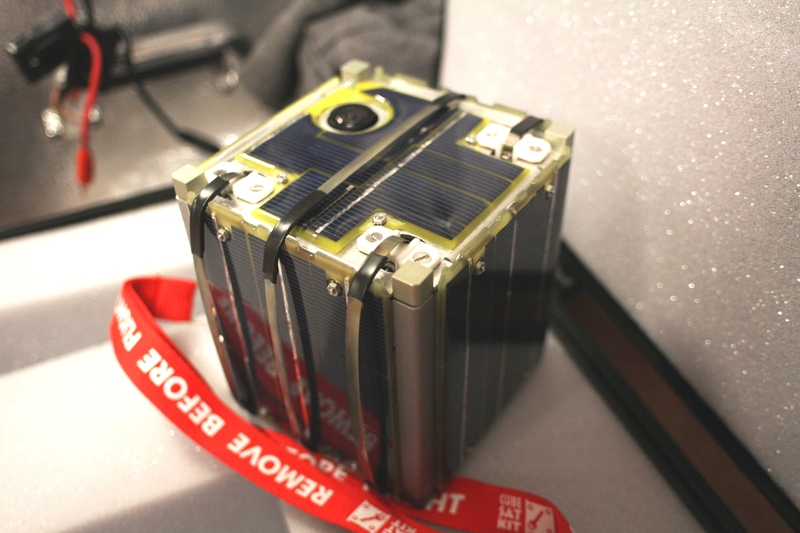 This computer will ensure limited, however safe functionality of the satellite in case of failure of the main onboard computer and will also take and record the first pictures made by Lithuanians from space as well as control the radio beacon of the satellite. There are 4 monopole antennas on LituanicaSAT-1: three UHF antennas and one VHF antenna. Each antenna is made of approx. 0.2 mm thick and 5 mm wide spring steel measurement tape. In deployed configuration, all UHF antennas are pointed towards the Z+ body axis direction and VHF antenna is pointed toward –Z body axis. In the days after deployment LituanicaSAT-1 will be very close to the International Space Station (ISS). To determine when you’ll be able to hear the 437.275 MHz FM Morse code beacon look at the position of the ISS on either the ISS Fan Club website at http://issfanclub.com/ or the N2YO satellite tracking site at http://n2yo.com/ (tick the Draw footprint box). The LituanicaSAT-1 mission is specially dedicated to honor the 80th Anniversary of the flight across the Atlantic by Lithuanian-American pilots Steponas Darius and Stasys Girėnas. Therefore the satellite bears the name of the original aircraft used during this historic flight – “Lituanica”. 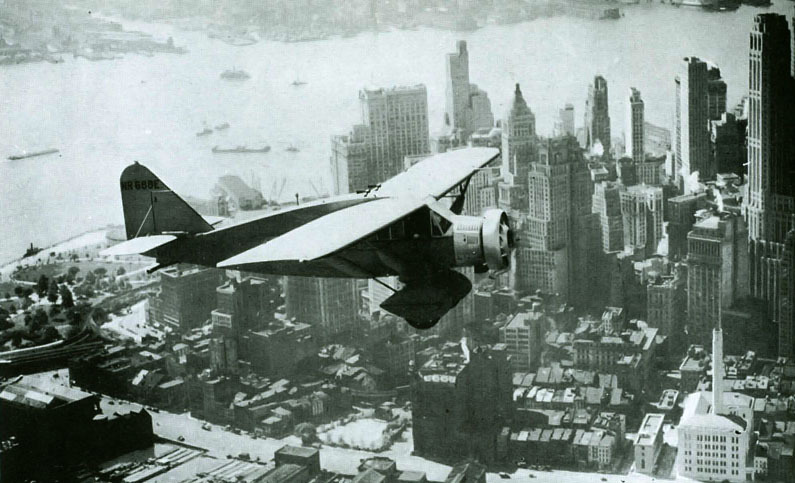 On July 15, 1933, Steponas Darius and Stasys Girėnas took off from Floyd Bennett Field in New York in their airplane Lituanica and flew across the Atlantic Ocean, covering a distance of 6,411 kilometers without landing, in 37 hours and 11 minutes. Tragically they crashed by the village of Kuhdamm, near Soldin, Germany just 650 km from their destination of Kaunas in Lithuania.